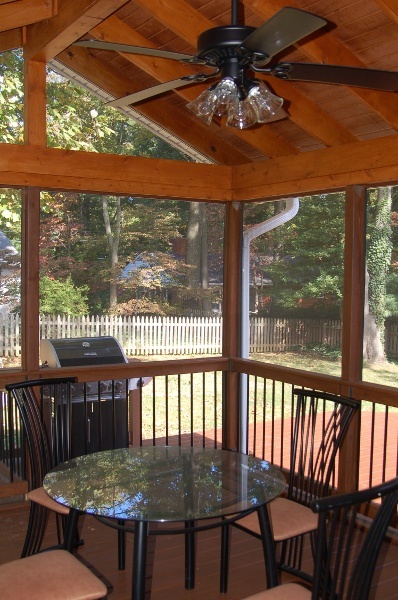 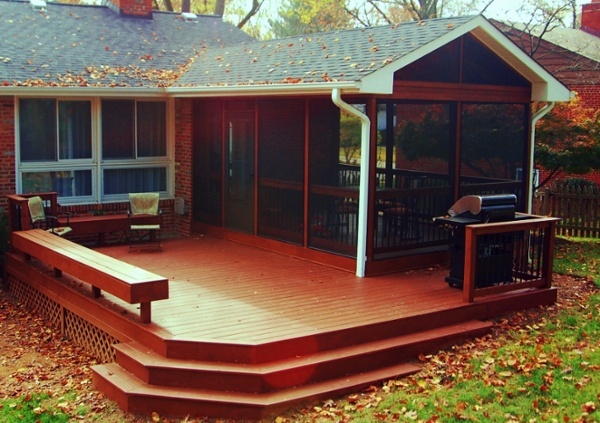 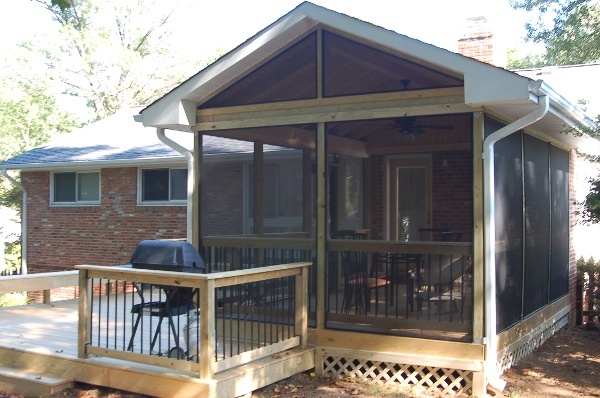 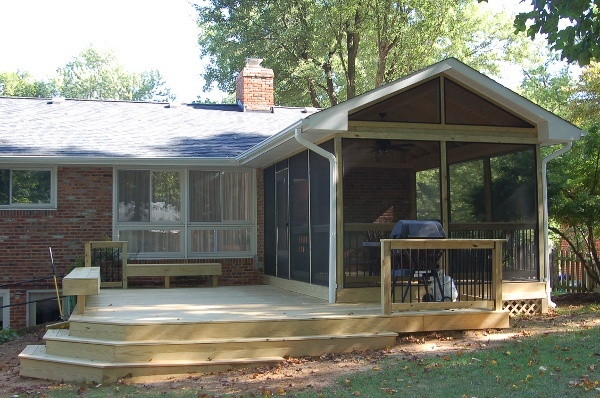 Natural pressure-treated wood stained red-brown was used to build this deck and screened porch in Bethesda, Maryland. The material was chosen because it complements the natural colors of the house's brick walls, and because pressure-treated wood is durable and capable of being stained, painted, or otherwise customized to a high degree. 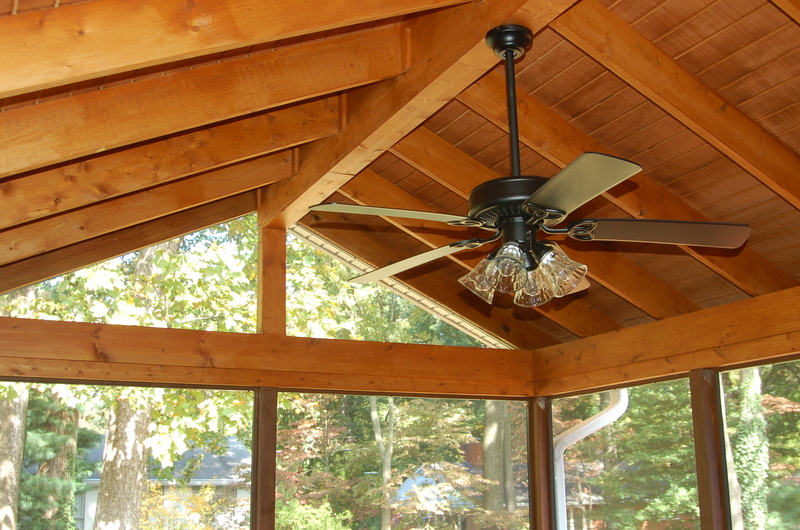 The pressure-treated stained porch features an open gable cathedral ceiling with a ceiling fan installed. 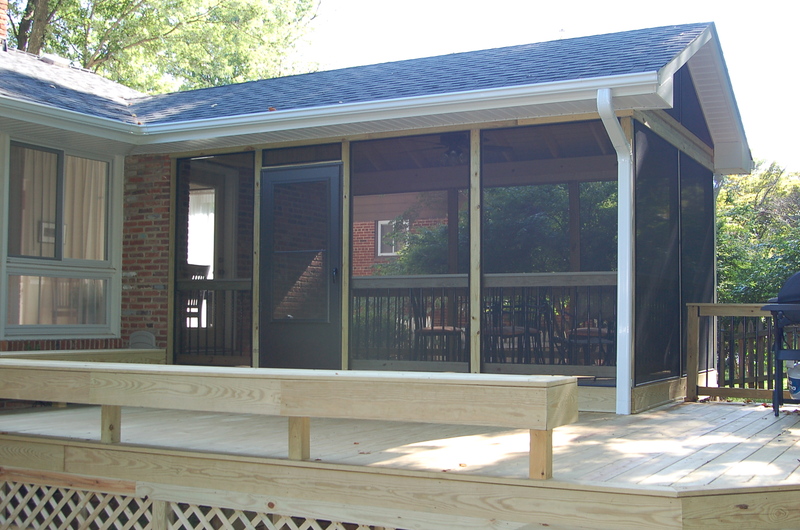 Black Deckorators balusters were installed around its perimeter to minimize sight line obstructions and protect the screens from clumsy occupants. The screened porch was outfitted with shingles and gutters that were identical to the home's existing materials. 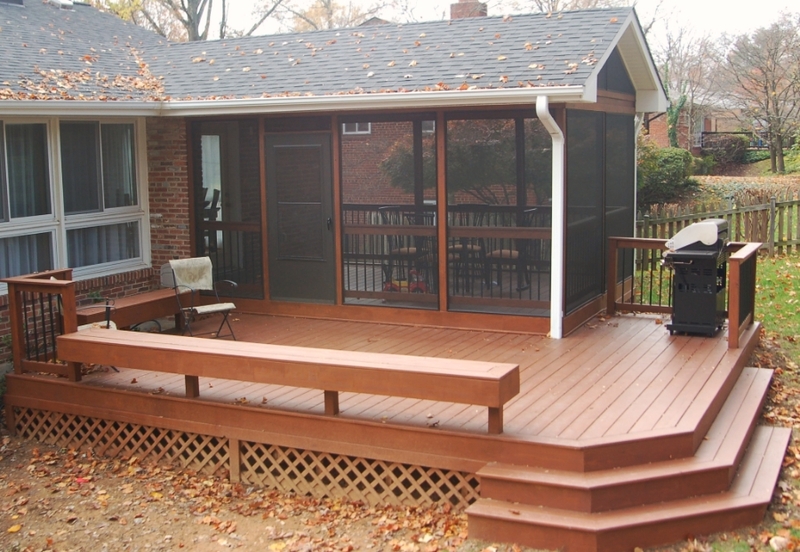 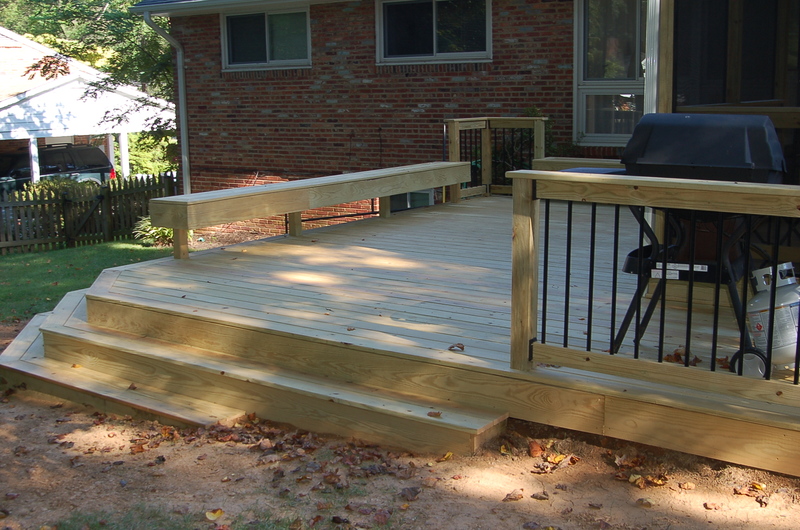 The deck also has multiple multi-purpose hardwood benches that both prevent people from accidentally walking off of it and provide plenty of seating room for company.